Bulgarian President Roumen Radev was tipped to name Ognyan Gerdzhikov, a 70-year-old former Speaker of Parliament and law professor, to head the country’s caretaker cabinet, reports on January 24 said. Gerdzhikov was Speaker of the National Assembly from July 2001 to February 2005, at the time that Simeon Saxe-Coburg was prime minister. Radev, who was inaugurated as Bulgaria’s head of state on January 22, received a succession of people on Tuesday, seen as expected members of the caretaker administration that will have stewardship of the country until a government is formed after early parliamentary elections in spring 2017. According to a report by public broadcaster Bulgarian National Television, Kiril Ananiev – three times a deputy finance minister, in the governments of Ivan Kostov, Simeon Saxe-Coburg and Sergei Stanishev – would be caretaker finance minister. Ananiev was the first of the predicted cabinet ministers to be received at the Presidency on the morning of January 24. Bulgaria’s ambassador in Berlin, Radi Naidenov, is seen as the likely foreign minister. Constitutional law lecturer Ekaterina Mihailova is tipped for the justice ministry portfolio. Others seen entering the Presidency building were former head of the National Health Insurance fund and former deputy social policy minister Gulub Donev, rumoured to be that ministry’s next head, Plamen Uzunov, former head of the police in Plovdiv when Tsvetlin Yonchev was interior minister in the 2013/14 government, and tipped for that portfolio, and actor Rashko Mladenov, seen as Radev’s choice of culture minister. 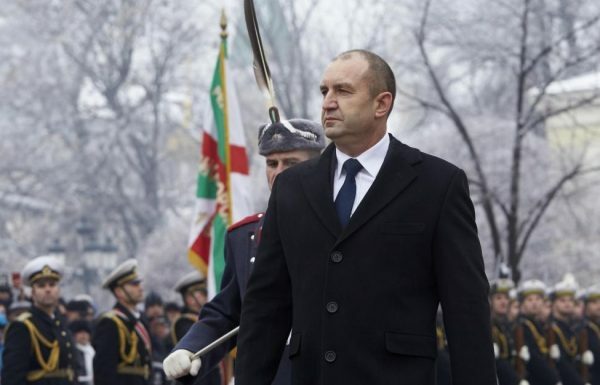 The President’s press office said that no official announcement would be made about the caretaker cabinet today and nor would Radev be signing the decree on the caretaker cabinet. The naming of a caretaker cabinet and the decreeing of an election date following the dissolving of the current National Assembly are constitutionally-mandated sequels to the resignation of Boiko Borissov as Prime Minister in November 2016 after his party’s candidate was defeated by socialist-backed Radev in scheduled presidential elections. The Bulgarian Socialist Party has called for a March 26 election date while Borissov’s GERB party wants the elections to be held on April 2. Most observers believe that Radev will name March 26 as the election date. Bulgaria’s constitution requires a parliamentary election to be held within two months of a parliament being dissolved.